If Pat Golden has learned one thing from her lifetime of prayer, it’s listening. It’s something that has deeply affected her life. Earlier this year, Pat published He Spoke to Me, a book of prayers and reflections she received over a period of about 30 years by listening to God. “I usually began my prayer time alone praising God and talking to Him, gradually becoming quiet to listen. On April 30, 1980, I was having this quiet time and experienced a great peace come upon me. I knew this was special and our Lord had some words for me,” she explained in the introduction to her book. 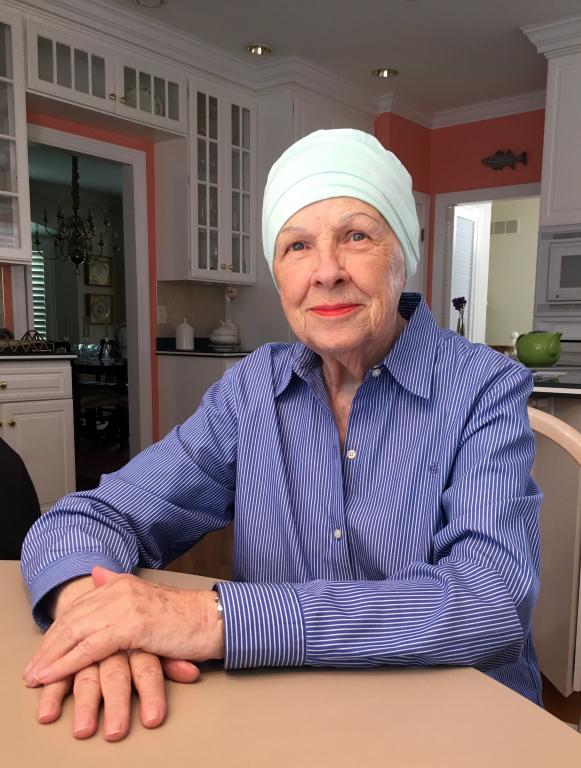 Pat often received messages from the Lord by seeing words scrolling across her mind. She used shorthand to write down the words, then later wrote out or typed the messages to save them. "It was as if I had been prepared for these experiences, which helped me not to be frightened," she says in her book. Initially, she was hesitant to share these words from our Lord with others. She first shared them with her mother, who was a devoutly prayerful person herself, and with her husband and children. And eventually, the Lord nudged her to bring some of His words to her prayer groups. After Pat and her family moved to St. Louis from Chicago in 1981, they landed at St. Anselm Parish. Through her years here, she helped start several prayer groups, especially focusing on charismatic and intercessory prayer. She was instrumental in starting the Jonah Prayer Ministry at the Parish, and she was also involved with the Catholic Renewal Center in St. Louis. Because of her intimate relationship with Jesus, she wanted to share the power of prayer with others, and fellow parishioners frequently called on her to pray with and for them. Pat is bestowed with several dynamic gifts of the Holy Spirit, including tongues, intercession, prophecy, and discernment, she said. Through all that the Lord has revealed to her, Pat wants to pass on the heart of our faith above all else. Pat’s book is available in the Parish Center. Free-will donations will benefit the Rural Parishes.